Looking to buy a Car for Business or Personal use? 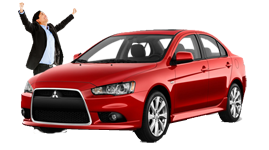 We have access to a wide panel of lenders with better interest rates than Car Dealers. Keep the deal at arms length. If you negotiate a good deal on the car price, they will try and recover some of that cost on the finance. Car dealers use the lure of the new car and quote on a base rate – Then signing the documents for finance on the same day as picking up the car. Send us an Enquiry Now – and we will get back to you within 1 business day. Right from the words ‘Looking for a Home Loan’ till the ‘Settlement’, we have been helped and advised extremely well on not just obtaining the right loan but also what pitfalls to look out for while buying a house. As first home buyers we could not have asked for better commitment, service and transparency throughout the whole process. Thank you Amit for being so helpful, I could not have asked for more. © 2015 Investors Mortgage, All Right Reserved.